Entertainment certainly beholds the ethos of any individual’s to particularly lighten up the mood and enjoy some moments. What else can better serve the situation as a good movie to watch! Well AI has grasped this arena as well and evolved out a solution, fabricated using the neural network framework to specifically give out movie suggestions based on your moods. 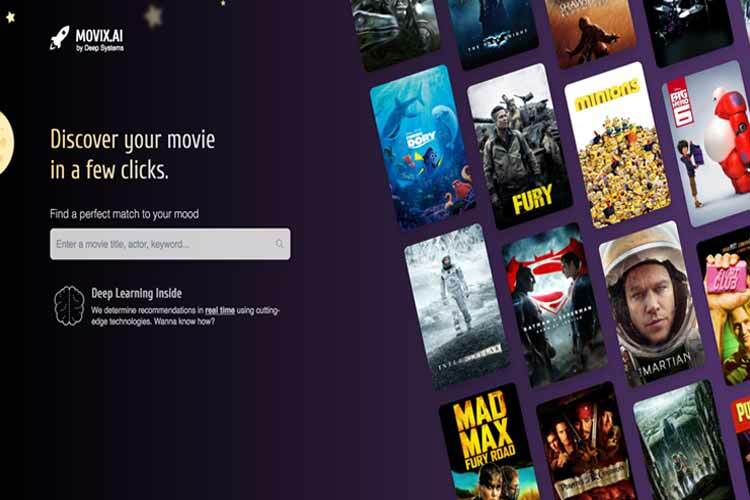 Movix, created by Deep System is an intelligent model of AI which lets the user input his/her 5-10 favourite movies and within a matter of seconds, this system will roll out suggestions for you to have some great movie time. Sourcing the data from IMDB and Movie DB, Movix also allow you to filter the content based on genre and time. Another feather to add to its cap is no registration policy, which lets the user open the site and utilise the services right away without any hassle. AI powered tools are undeniably sprouting out in this contemporary arena, thus making every work easy for humans. Be it any field, AI can be seen assisting the roller in one or the other way, which gives us the sign that how it will re-write the future in its own instances!